Professor Gemma Carey is Deputy Director (Learning and Teaching) at Queensland Conservatorium, Griffith University, has an international reputation in Instrumental and Vocal pedagogy and curriculum development in Higher Education. She was awarded a Griffith University Citation for significant contribution to curricula design and course development in 2012. As Head of Pedagogy at QCGU, Carey has investigated the interaction between learning, studio teaching and assessment, and the effect of graduate outcomes of music education on career options for musicians. Gemma is also a Creative Director of the Innovative Conservatoire (ICON). Professor Helena Gaunt is an internationally recognised leader in research into learning and teaching in the Conservatoire context. Assistant Principal (Research and Academic Development) at Guildhall, she provides strategic leadership in research, innovation and enterprise. She is also a National Teaching Fellow (2009). Her current research focuses on one-to-one and small group tuition in conservatoires. Professor Scott Harrison is Director of Queensland Conservatorium, Griffith University. Scott is recipient of a 2010 ALTC Award for Teaching Excellence in Humanities and Creative Arts, and in 2012-2013 was awarded an OLT National Teaching Fellowship to investigate innovative strategies for supervision and research education in music. 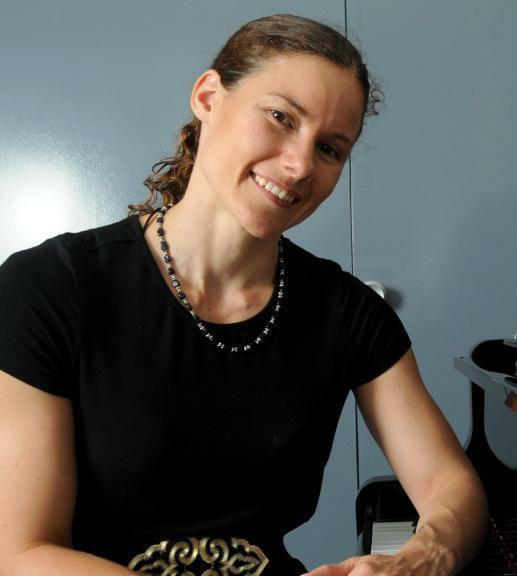 Dr Kim Burwell is a pianist and teacher, whose research is focused on areas related to musical performance. Her PhD investigated instrumental teaching and learning in Higher Education. Her monograph Studio-based instrumental learning, was published in 2012 by Ashgate. Kim brings to the project specific expertise in music learning and teaching in the one-to-one context. Dr Liam Viney is a pianist, collaborative musician and teacher. After spending a decade in the United States pursuing a multi-faceted performing and teaching career, including five years at the California Institute of the Arts, Liam is now Piano Performance Fellow at The University of Queensland, School of Music. His research interests include Australian piano music, the art of piano accompaniment, and practice-led research in music, and he has over a decade of experience teaching one-to-one. Dr Joel Brennan will contribute for the term of the grant through his knowledge and expertise in studio teaching. He studied at Oberlin Conservatory (BMus) and Yale University (MMus, MMA, DMA) prior to embarking on a career performing as an orchestral trumpeter, soloist, and chamber musician in Europe, Asia, and North America. Currently a Lecturer in Brass at MCM, Joel is the recipient of a number of grants and awards, including a Fulbright (2007) and a Learning and Teaching Initiatives Grant from the University of Melbourne (2013) for the development of a mobile application for intonation practice. Dr Catherine Grant is a Lecturer in Music Literature at the Queensland Conservatorium, Griffith University. Her research interests and publications focus on tertiary music teaching and learning, and music and cultural sustainability. She is author of Music Endangerment: How Language Maintenance Can Help (OUP, 2014). Leah Coutts is a Research Fellow at the Queensland Conservatorium, Griffith University, and manages the Transforming One-to-One project. Leah is also a PhD candidate at the Queensland Conservatorium. Her practitioner-based research focuses on adopting transformative pedagogical approaches to one-to-one piano lessons with adult novices.